School graduate recognised in Birthday Honours List. Dr Diana Leitch, a graduate from the School of Chemistry in 1969 (BSc) and 1972 (Ph.D.) has been awarded an MBE for services to chemistry in the Queen's Birthday Honours List. 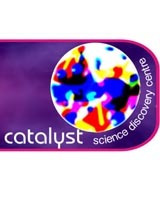 She is currently a trustee of the Catalyst Science Discovery Centre.